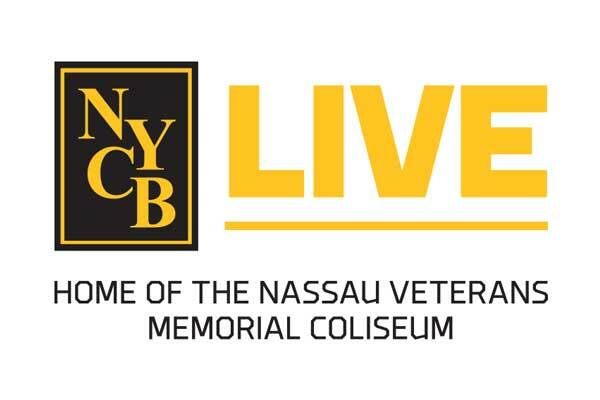 Tonight, Katie McCabe of West Sayville became the one-millionth guest at NYCB LIVE, home of the Nassau Veterans Memorial Coliseum since the venue’s grand re-opening on April 5, 2017. In celebration of the venue’s milestone, Katie will receive a prize pack that includes two tickets to six months of events at NYCB LIVE. Upon entering the arena for the Islanders-Blue Jackets game tonight, Katie was welcomed by Islanders legend Clark Gillies; NYCB LIVE’s General Manager Joe Zino; Sparky, the Islanders mascot; and Dale, the mascot of the Long Island Nets. She was later honored during a live presentation in-game. In addition to the ticket prize pack, Katie received a custom “1 Millionth Fan” Islanders Jersey, seats on the glass with access to complimentary food in the Grant Thornton VIP Lounge, a signed Islanders hat and jersey, JetBlue flight vouchers, gift cards to Cabo and The Bowery Bar and Fare, and Long Island Nets gear and apparel.